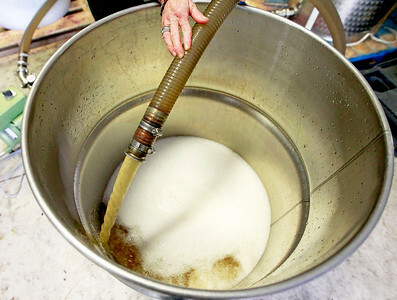 Candace H. Johnson-For Shaw Media Deb Trombino uses a wine pump to rack the wine through the aging process at the Vigneto del Bino Vineyard & Winery in Antioch. 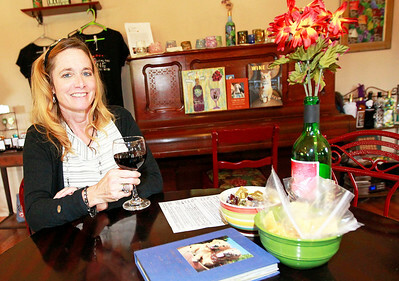 Candace H. Johnson Owner Deb Trombino talks about establishing her winery in the tasting room at the Vigneto del Bino Vineyard & Winery in Antioch. Candace H. Johnson-For Shaw Media The Vigneto del Bino Vineyard & Winery in Antioch. 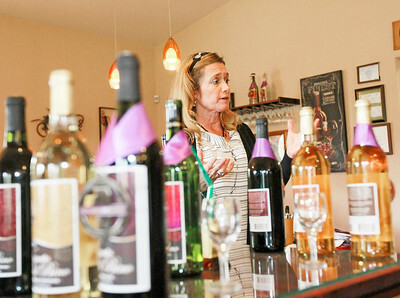 Candace H. Johnson-For Shaw Media Deb Trombino, owner, drinks a glass of her award-winning Sweet Frontenac wine in the tasting room and gift shop at the Vigneto del Bino Vineyard & Winery in Antioch. 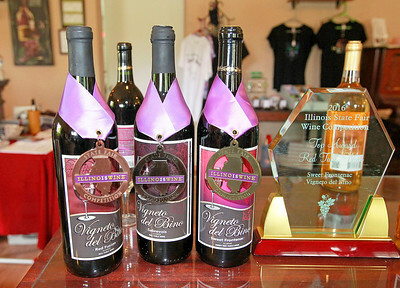 Candace H. Johnson-For Shaw Media Award winning wines are on display in the tasting room at the Vigneto del Bino Vineyard & Winery in Antioch. 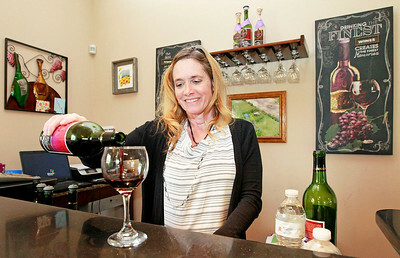 Candace H. Johnson-For Shaw Media Deb Trombino, owner, pours a glass of her award-winning Sweet Frontenac wine at the Vigneto del Bino Vineyard & Winery in Antioch. 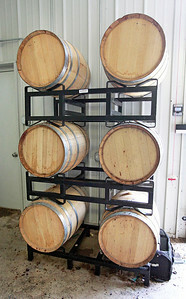 Candace H. Johnson-For Shaw Media American oak wine barrels are lined up to age Marquette and Frontinac wines at the Vigneto del Bino Vineyard & Winery in Antioch. 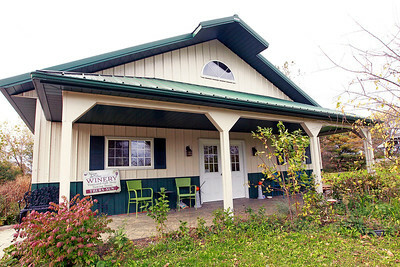 Award winning wines are on display in the tasting room at the Vigneto del Bino Vineyard & Winery in Antioch.